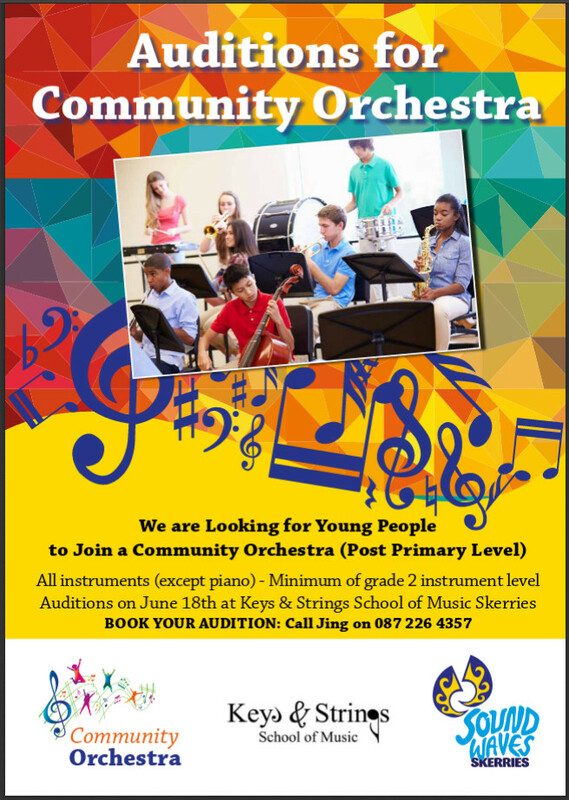 Soundwaves are looking for young people (post-Primary level) to join a Community Orchestra. Open to all instruments except Piano. Minimum of Grade 2 instrument level is required. 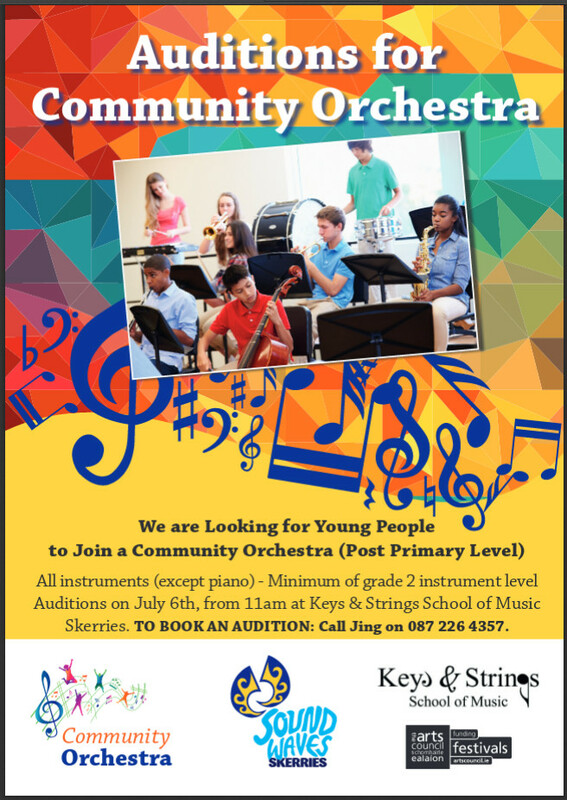 Auditions will be held on Sunday, 18th June, at Keys & Strings School of Music, Skerries. To book your audition time, call Jing at 087 2264357.